Before I get started, let me try to deflect some unnecessary comments by saying this article is not about Ripple the company. Ripple the company has developed innovative solutions for the transfer of money and has signed deals with many major banks. RippleNet is likely to replace the SWIFT payment system, which is now 45 years old, slow, and expensive in comparison. This article is about the Ripple token, XRP, which I will argue has practically no function at this moment, apart from letting speculators bet on Ripple’s success (and making Ripple’s creators very rich). Ripple created 100bn XRP tokens at inception. 20bn were retained by the creators, and 80bn retained by Ripple labs to use (actually around 55bn are in escrow) and distribute to market makers in order to provide liquidity. While XRP may seem related to equity shares, the tokens give no rights to ownership. 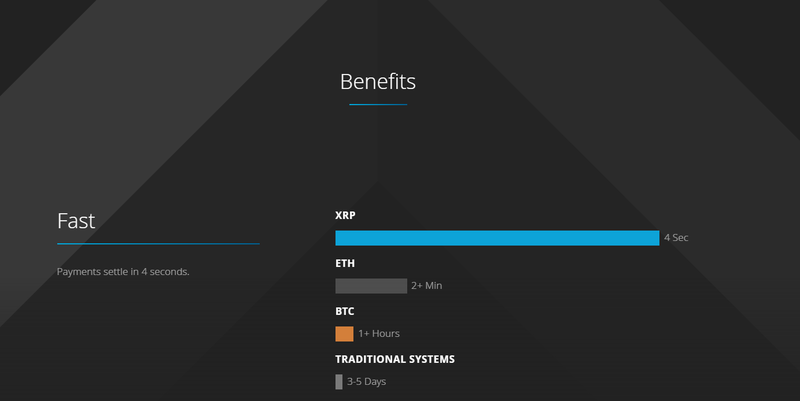 Additionally, XRP is barely used in any of Ripple’s systems. There is a risk XRP is completely useless; Ripple the company could continue successfully if all XRP were taken out of circulation and “destroyed”. But don’t worry: that’s not going to happen. The rise and rise of XRP has made the creators very rich. And I must say they have played their cards beautifully. They are sitting on billions of dollars worth of potentially useless tokens, while also earning from Ripple’s revenue streams (which do not rely on XRP). To top it off, they are not regulated by the SEC, and can be as opaque with the public as they see fit. 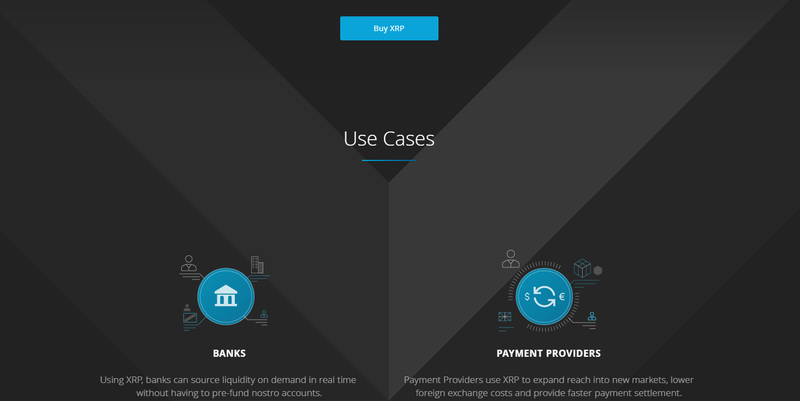 There are three main Ripple products, only one of which uses XRP the token. This is a quick run down, with quotes from the Ripple site itself. 1	xCurrent is the backbone of Ripple’s business. This what American Express and Santander recently announced they would use for Cross-Border Business-to-Business Payments. xCurrent is Ripple’s enterprise software solution that enables banks to instantly settle cross-border payments with end-to-end tracking. More info can be found here. xCurrent has attracted a lot of interest and support from big banks to the point where over a hundred members are now signed up, but the main point here is XRP is not required or used in this system. 2. xVia is basically a payments interface. Obviously XRP is not used or needed. 3. xRapid is the only system to use XRP tokens. Basically XRP acts as a bridge between different fiat currencies and in theory should be cheaper than currently available systems and even the xCurrent system as it could eliminate the need for Nostro accounts. Let’s say I want to send money from the US to Mexico, a payment provider using xRapid would convert US dollars to XRP over a US exchange, send the XRP to a Mexican exchange through RippleNet, then convert to Mexican dollars to complete the transaction. All of this would happen within seconds. There are two main problems I can see with this system. Firstly, there is very little information on the mechanics and many unanswered questions. Unlike the detailed twenty page document linked above to explain the processes involved in xCurrent, xRapid has very little info on the Ripple website; it simply links to this page with the same blurb about liquidity. It also says on this page there is a four second settlement period. This is much faster than the alternatives, but highlights one of the possible problems if XRP is to be transferred over exchanges. Even a one second delay in buying XRP in one currency and selling it another could incur huge costs. For example, just looking at today’s price action in XRP, a one second period saw a price swing of 0.77%. 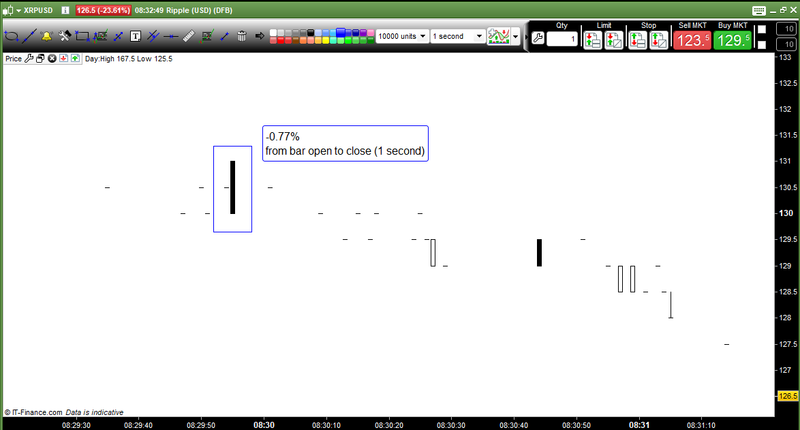 Granted, this is based on my broker’s prices, but from what I can see this kind of volatility is quite normal. If transferring $1m this 0.77% swing would cost the payment provider $7700, which is obviously unacceptable. Now I don’t know if Ripple has a way around this, because there is no official documentation. Perhaps Ripple themselves could provide XRP liquidity at a set price away from the exchanges? I have also read discussions proposing the use of market makers to provide liquidity, but this raises questions in itself. There would need to be a global network of liquidity providers (there isn’t one currently) who hold large amounts of XRP and would accept large amounts of XRP at a seconds notice. Market makers would find it very hard to keep a flat book or hedge the risk and XRP volatility could cripple them in minutes. Consider, as I write, XRP is down 27% on the day. Again, I would love to know more. Moneygram obviously see potential in xRapid, but why only a pilot? This wasn’t required by users of xCurrent. And why are so few companies using it? Why have the hundred or so companies and major banks decided to stick with xCurrent and the higher fees? It seems there are more questions than answers. But what we are left with is one fact: XRP’s use in global money transfers, at this time, is tiny. XRP has 100bn of tokens in circulation. At today’s price they are worth $104bn, but that is really a meaningless value; their only value is based on what people are prepared to buy and sell at. This investor sentiment relates to the company itself; Ripple is transforming the way money is transferred and the price of XRP has rallied as the Ripple story has progressed. Yet XRP and Ripple are not the same thing. Owning XRP is not an investment in Ripple, but a speculative bet on mass adoption of Ripple’s xRapid system. There is still very little information on this system and a risk it could completely fail or be replaced by an alternate crypto-currency. If this were to happen, Ripple the company would continue and likely go from strength to strength, but XRP would be practically worthless.